Join us for a day filled with energy, education and networking, opportunities. 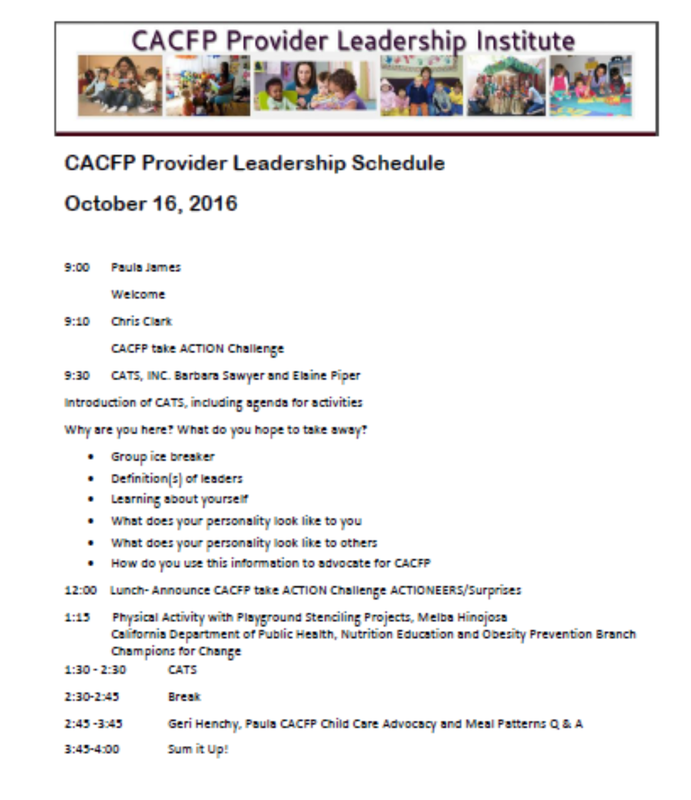 As always, we are planning another exciting adventure in the world of CACFP Family Child Care Leadership. Family Child Care Providers will experience going beyond the site visit and annual training regularly received and engage in an opportunity to learn about themselves CACFP, child nutrition, health and wellness in an environment that sets the stage for the child care professional to shine. This day will be provide you with tools to take back to your family child care colleagues and your business. Enrich your child care business and become the Child Care Professional leaders and mentors in CACFP. A fantastic learning experience opportunity full of fun, networking and quality CACFP education. Elaine Piper has worked and lived in the early childhood field for over 40 years. She was one of the first 100 accredited providers in the US.